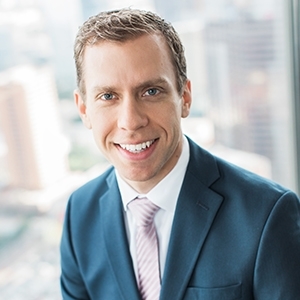 DALLAS – High-stakes trial law firm Sayles Werbner welcomes commercial litigation attorney Hunter Polvi to its award-winning team. Mr. Polvi comes to the firm from Waco, Texas, with five years of experience in the areas of personal injury, products liability, wrongful death and business disputes. Mr. Polvi has represented more than 100 clients affected by the deadly 2013 West, Texas, fertilizer plant explosion. As lead counsel, he has handled partnership disputes involving a Texas coffee company and a medical device sales company, as well as tort and insurance matters involving casualty storm damage, car accidents and property conversion. Mr. Polvi also represented clients in cases of Deceptive Trade Practices Act violations for fraud and breach of warranty. Mr. Polvi is a member of the Dallas Association of Young Lawyers and the Texas Trial Lawyers Association. In addition to his legal background, he is a licensed private pilot, an Ironman triathlete and a former volunteer firefighter. He graduated from Baylor Law School as valedictorian of his class and has an undergraduate degree from The University of Texas at Austin. Sayles Werbner has a history of winning some of the highest profile cases in U.S. history, including a groundbreaking terrorism lawsuit that led to the first civil liability verdict against a foreign bank for providing material financial support to terrorists.